I was talking with a friend the other day about her son and ritalin. Her sister has temporary custody of the boy and think he has ADHD. He is 13. I think he is being a teenager. My friend doesn’t want her son on speed and does not know her rights with it. I told her how I think medication should be the last resort. Then I got thinking about my own medication use. I have been on Prozac for a month now. I picked up a bottle when I was in Mexico. I was against starting anti-depressants for a long time. I always thought exercise and diet were better than something created in a lab. I thought just going sober would be the cure to my hopelessness. But after my rough, depressive August, I knew I needed something. The bottle had 100 pills and I thought I would just need this to bring me up and then I would stop. I thought I can start eating healthier and exercising my way to joy. I am not too sure now. I feel happier and more confident. I am not sure how much to thank my Prozac for that. Do I want to take the chance of stopping when I run out after 3 months? I am not going to fly you Mexico for another bottle. I guess I should start finding a therapist for a prescription. And then she or he can help me figure out when to wean off. I am pleased I started it. I just do not want to depend on the little green and yellow pills forever. Mistake 244- I went to a party and met up with a friend I have not seen in a long time. He was in town briefly. I always had a crush on him. I remember I had plans to sleep in the back of my car that night to avoid driving. I was all set to get trashed. I drank beers and shots of Jameson. I remember bragging that Jameson was the only whiskey I drank because it was smooth. I remember showing my ID for the first shot. Then I lost it. I had to keep returning to the same bartender the rest of the night. I made out with my friend. I only briefly remember it. I think we were dancing and then started to kiss. I guess it was a good thing he had a ride to his hotel and I was staying in the parking lot because not sure what more would have happened. I did have a bouncer stop me on the way out to say they found my ID. Still, it was a close call. I lost so many driver licenses while drunk. That friend is now married with a baby. Whenever he is on town, he is always too busy to meet up with me again. Once again I am sorry for my lack of updates. But I am still here and still sober. 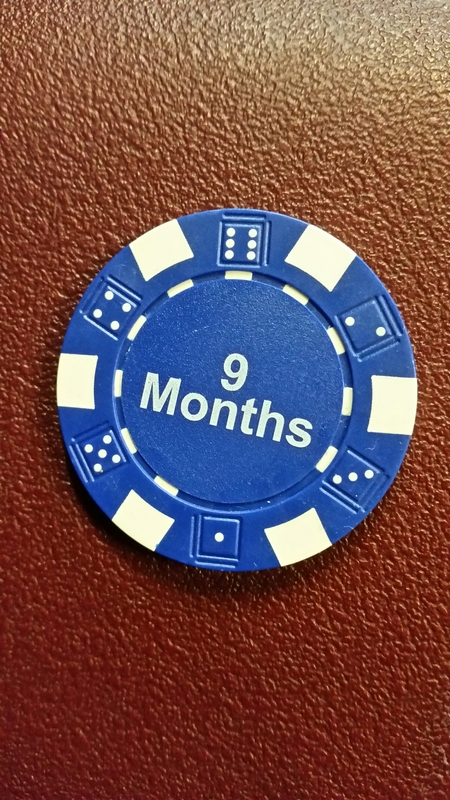 Actually I am almost 9 months sober! 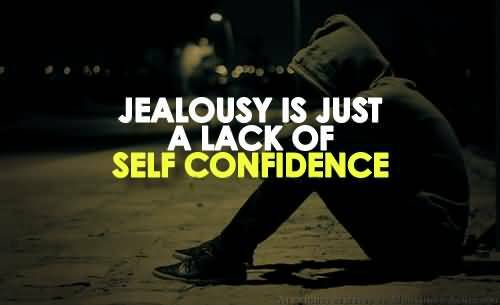 I once heard a man in a meeting saying 90 days and 9 months sobreity are some of the most “dangerous” times because we get too confident and let our defenses down. I guess he suggests we stop being vigilant against these disease. I have felt a surge of pride that I have come this far and I am keeping aware of any lows or bouts of temptation. Not sure how much thanks of this confidence goes to Prozac. I finished listening to Ann book The Intimate Relationship between Women and Alcohol. It was a long “read” but I enjoyed it. It was very informational. She talked a lot about statistics, society’s relationship with alcohol, the problems drinking causes, growing up with an alcoholic mom, and her struggles to stay sober. One word I learned from it that I loved is alcogenic. Liquor soothes. It calms anxiety. It numbs depression. Ask any serious drinker. If you want to find your off button, alcohol can seem like an excellent choice . Yes, alcohol was my off button switch. And sometimes it is a struggle to not want to flip that switch again, but I would rather deal with the struggle than deal with the consequences once that switch is turned back on. I have been keeping busy. I still have not finished my book One Breath at a Time about Buddhism and the 12 steps. I have been working a lot (about 50 hours a week) and busy with my Substance Abuse Prevention class. I did go out with my mom one night and ordered her a beer at the bar. I did not crave it at all. And it was a beer I used to like! I just received a book from Amazon that I am really liking and think I will learn from much. It is Get Sober, Stay Sober: The Truth about Alcoholism by Cynthia Perkin. The first chapter talks about AA and the pros and cons of it. I really like that she points out going to meetings is not enough. People need to work on their psychological issues behind their addiction. I have been saying that since I got sober. I have been working on my issues with reading and writing but I do think I should still seek a professional therapist. (At least to get a prescription for the Prozac so I do not have to fly to Mexico for more when I run out.) I might be settling in one place after December so that should help me stable and find a good counselor. I was thinking about my “mistakes” the other day. A lot of people thank me for telling them. I am glad if they help others realize they have a problem and go sober. Also, I am glad I have the list to go back one day to remind me of how bad my drinking got. I still feel I am in the freshmen phase of sobriety but I hope I pass this school with honors. Mistake 243: I spent the morning hungover. I met up with a friend for a very late brunch. I still felt slightly drunk that early afternoon but started drinking again. Mimosas were a necessity for brunch! I picked him up and we proceeded to the restaurant. It was a Middle Eastern themed place. It was a very nice evening full of lots of specialty drinks and wine. I was very drunk when we left. I basically started my day with drinks and did not stop. I do not remember if he was very drunk but he did not have a drivers license. He never said why but I suspected it was from a DUI. So I drove us back to his place. The next day, he told me how scary the drive was cause I swerved a lot. He said he did not realize how trashed I was. That seemed to be a common occurrence. I rarely realized how trashed I was. Last week was my ex-husband’s birthday. It was a big milestone one. Even though we haven’t spoken in four years, he recently accepted a friend request I sent him last November on Facebook. I sent it just to say hello and congratulate him on the birth of his child with his new wife. I really did not expect him to accept the friend request but surprisingly, he did. But no response to that email. But he responded to my birthday greeting. Maybe that is because a big portion of the email was an apology for cheating on him and all the other problems my drinking caused. I told him I was almost 9 months sober. It was a heartfelt letter. I even admitted how I told his mom when we split that I was an alcoholic but I was not willing to quit back then. That was 14 years ago! I would have saved myself two DUIs and maybe prevented ruining other relationships if I quit then. He told me he wishes the apology came earlier. Like a few years earlier. Like before he met his new wife. He said he thinks often of “what could have been.” But I think I needed to take the path I did. My roller coaster has had many downs but also some great ups. And plenty of loops. It is taking me some self-discovery (also Prozac) but I am liking who I am today. Another step I took was to visit my sister. I have mentioned her before and she has her own mental and drinking problems. I have not seen her since 2009 and we had a nasty falling out three years ago that made me stop talking to her. My family is not talking to her. But she has been sober almost a year. She is in therapy. I wanted to reach out and be some support. I still am cautious and scared to trust her. But it felt good to extend that olive branch and visit her for a few hours. There is still a lot more repairing to be done to that relationship, but it is a start. October is National Substance Abuse Prevention month. But most media focuses only on October being Breast Cancer Awareness month. CBS news posted a 14 day challenge of stopping alcohol and drugs to raise awareness for everyone suffering from addiction and substance abuse problems. I posted a link to the challenge on my Facebook. Some people agreed to do it. Others bragged about doing it longer and how good they felt. They make it sound easy. I guess it is easy if you are not an alcoholic. But telling me it is easy is sort of patronizing my struggle. Mistake 243- One guy that said he will do the challenge is a guy I once had a crush on. The last time I saw him, when I was in his city for a night, I got drunk. I had the idea that he would feel more confident taking advantage of me if I were trashed. He either was turned off by my drunkenness or was not interested. Or maybe he is just a nice guy that was not wanting a one night stand. Yet he seems to “like” most of my statuses about being sober. Sorry I haven’t posted anything lately. I got back from my trip to Belize and I have been busy. I have been working a lot, reading for my class, and my mom came to visit. But the good thing is that I haven’t had time to really think about drinking. I had a friend text me today to ask how sobriety is going and I told him I don’t even crave alcohol anymore. I took my mom to a show and bought her a beer and really did not feel jealous that I could not have one. I did not desire it at all. And I haven’t posted because I feel I am struggling to think of more mistakes to write about that I am ready to share or that I have not already posted. Every once in awhile, I will be reminded of a night or event that triggers a mistake I forgotten. Mistake 241- This night is a bit of a blur. I had a pool party during the day. About 6 guys I know came and two girls. The one girl was visiting from another country. I remember being nervous about the party and whether people were having fun and the food and what they thought of me. I remembering trying so hard to be liked. I was in my 30s but was like a teenager having a party to impress the cool kids. I remember being super jealous of the foreign girl. She was in the pool in her bikini, flirting and wresting with all the guys. I think there were only 3 guys in the pool. But they kept grabbing her, dunking her, and picking her up. I thought I would be too heavy for them to try to pick up. I didn’t even want to put on my bikini cause I felt super fat around this tiny girl. So I just drank a lot and stayed out of the pool. I had a crush on one of the guys and it seemed he flirted with her the most. We all had plans to go into the city for dinner with some other friends. It was going to be at least 20 people meeting at the restaurant. I allowed everyone to use my room and bathroom to change. We all made our way to the city. I was drunk by this point. I got more drunk at dinner. After dinner, we were going to a party in another friend’s apartment. Like I said it was a blur, but I think I gave the foreign girl wrong directions. I think I had her and one of the guys get in a taxi and I said we’d meet them there and I got into another taxi with some other guys. I never saw her at the party. I never talked to her again but I just remember having such hatred and jealousy for her cause she was skinny and the guys all were giving her the attention I wanted. It was MY PARTY! Mistake 242- I got very drunk at that party. It was a crowded apartment. I remember having some beer, either a 6-pack but more than likely a 12-pack, and I held onto it cause I was worried it would be stolen if left in the fridge. I woke up the next day sitting in a recliner chair. I was curled up with my legs hanging over the arm on one side. I was confused as to where I was and then it slowly hit me. I went to the bathroom and realized I was wearing a pair of thongs that were not mine under my skirt. I asked the hostess of the party and she said she gave them to me cause I lost mine. I later found my thongs in my purse. I have no idea how they got there or how I “lost” them. 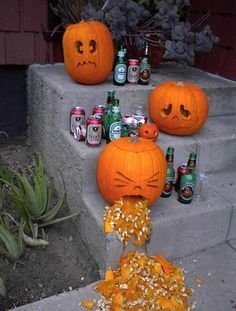 The other hostess of that party never really liked me after that night.